Articles - PMM - Are you getting a clean cut from your blades? Are you getting a clean cut from your blades? We have all experienced a bad shave at one time or another in our adult years. Man it can be an irritating and painful experience to say the least. Rough on the face or legs depending if you are a male or female. The blade matters and as soon as we feel it isn't working we get a new one. Ahhhhh, there we go this new blade was just the thing I needed ! Well no difference for your carton sealing tape machines and equipment. Yep, you heard me. You have to change these blades out regularly just like the ones we use for our bodies everyday. Think about this little scenario, you are running 750 cartons a day through your carton sealing machine and you don't change the cutting blades. Bet you never thought about it like that before. Well to be fair some of you have and do regular change outs. The blades get dull, dirty and knicked just like your person razor blades. They also get adhesive build up and the carton dust adheres to the build up of adhesive. So imagine trying to shave with that sticky dull blade and build up of "crap" on your person razor blade. It's just too scary to even imagine what damage that would cause. 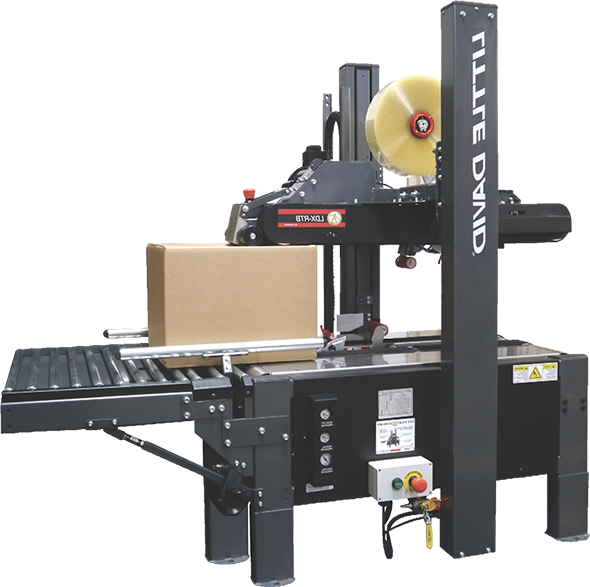 The simple regular scheduled change out of the blades either monthly (for larger through put facilities), or once a quarter, or even every six months (doubt you would ever go that long with your personal blades) will make such a difference in your machine and sealed cartons. Yes, it will also help with the sealed cartons as well. It won't matter what carton sealing tape you use in most cases. A lot of tape / carton sealing issues are based on the blades not cutting cleanly through the tape film. In many cases it causes uneven tension and without a clean cut and even tension applied to the cut you get a snap back affect, which then the tape isn't being applied evenly with the same tension to the carton surface. The result is the tape not sticking, cartons popping open and more similar issues, basically cause and effect. We will cover some of those other issues and topics in future posts. There is a saying that we do use a lot here " What is the root origin of the problem " find the root and you solved the problem. Blades not being changed out regularly in many cases are many facilities problems with the tape machines and equipment. It can be a simple fix, worst case is that you eliminate that potential and can then focus on other areas to resolve the probelm. We can help you with your blades and even change out reminder schedule services. Remember these are actually considered recommended spare parts as well. Let us know if you need help. We are here for you everyday. WE ARE SURE THIS ONE IS ! ARE YOUR BLADES SHARP ?